Mexico has long been a big favorite for vacationing. The Riviera Maya and Cancun have something for every type of traveler, whether you are looking for relaxation or adventure. Both the Riviera Maya and Cancun offer plenty to do outside of your resort. Take a look at the full list of our favorites below. “Cenote” comes from a Mayan word meaning secret well. These sinkholes fill with water and form caves and underground rivers running throughout Mexico, and you can find a ton of these near Cancun. 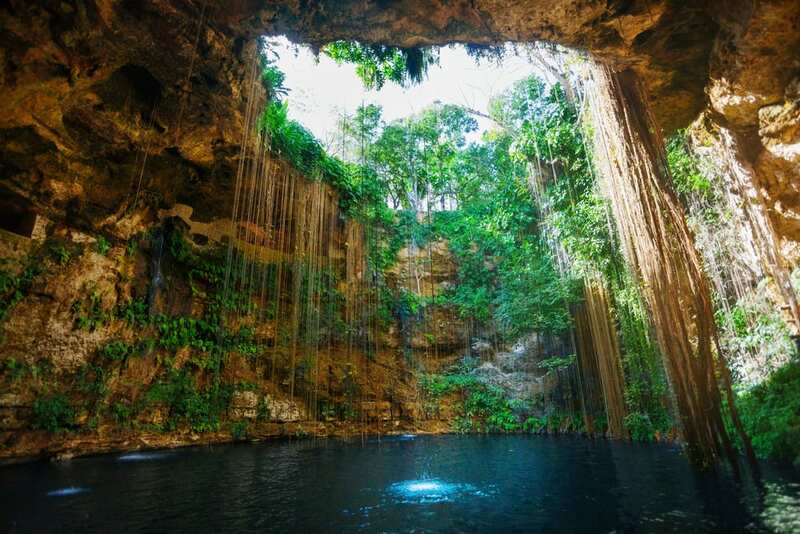 Ik-Kil is one of the most popular cenotes for swimming and snorkeling and is located very close to Chichen Itza. Ask your travel agent about a day tour that includes ATV’s, snorkeling through a bat-filled cenote, and cliff jumping in one. Chichen Itza is an ancient Mayan Ruin with towering pyramids and huge temples. One of the most famous things to see here is the Castillo Pyramid. The Chichen Itza court is the largest of its kind and used to be an arena for Mayan Sports. Here you’ll see carvings depicting the rules and details of the game throughout the stadium walls. Take a 20-minute ferry ride to Isla Mujeres, which literally means “Island of Women”. This is Cancun’s more relaxing neighbor. You can rent a golf cart or bike to explore the island on your own, but be sure to stop at the turtle sanctuary. You’ll also find the best snorkeling on the beaches here. This eco theme park is worth the touristy factor! Wildlife enthusiasts will love all of the exhibits and activities. You can even swim with stingrays and nurse sharks here! For a more tame experience, explore one of the three rivers that flow to the ocean. Float past pink flamingos, marine fossils, Mayan cenotes and rock formations that have caused tunnels and caves. This museum was designed in response to the damage that was being done to the local reef areas. The museum provides a safe haven for coral growth where marine life can live and breed. 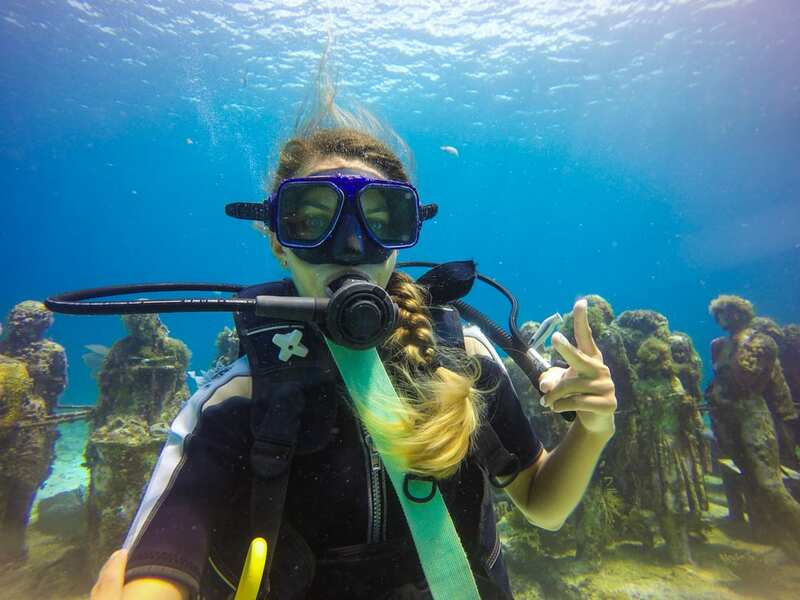 Here, both beginner and advanced divers will discover over 400 life-sized statues below the surface. In Tulum, picture perfect beaches meet Mayan history. You’ll find a refreshingly laid back vibe here. Beyond its ancient sites, you’ll find plenty more to love about this coastal region. Here you will find tons of cenotes, activities, beachside restaurants, and zen beaches. Mexico is known for its party scene, but Playa del Carmen offers something a bit more refined, but still a place to cut loose. Nightlife in PDC revolves around the beach and Fifth Avenue. Choose from one of many beachside bars and dance the night away in popular clubs. 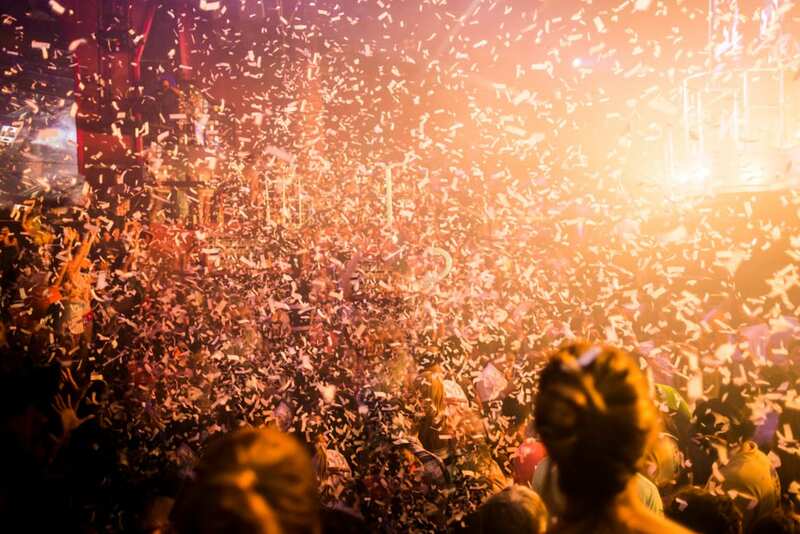 One of PDC’s biggest and best clubs is Coco Bongo, which is oft compared to a Vegas scene. Call us today at 402-281-3022 and ask to speak to one of our Mexico specialists!